Equipped with a friendly and experienced staff, Zeldes Eye Center is dedicated to helping you achieve and maintain optimal vision. We specialize in laser vision correction (LASIK) and no-stitch cataract surgery. We offer high-quality surgical and non-surgical services. We participate in and accept most insurance plans. Zeldes Eye Center provides comprehensive eye exams for adults and children. We also specialize in diabetic eye exams, cataract and other surgeries plus Glaucoma treatment. In 1990, Robert Clark, M.D., opened Clark Eye Center. A few years later, Larry Stocker, M.D., a member of the first graduating class of Kresge Eye Institute (’45), joined the office. Specializing in LASIK and cataract surgeries, the Center grew its patient base. 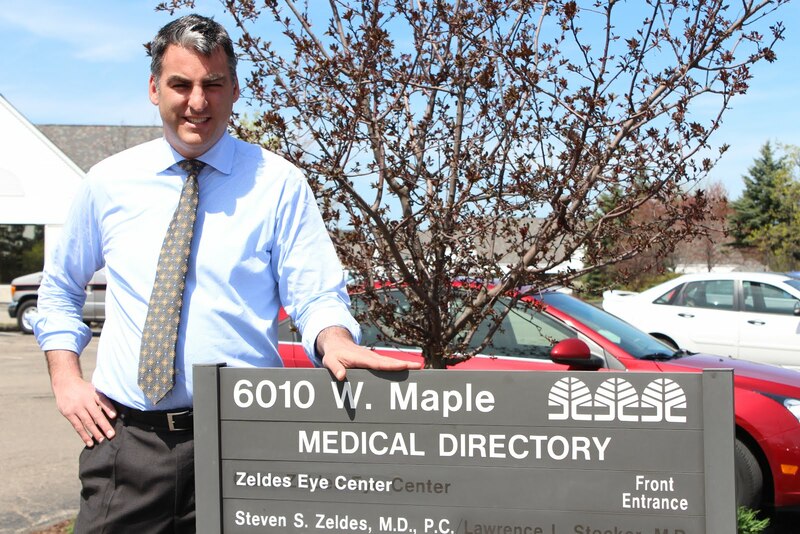 In 2003, Steven Zeldes, M.D., purchased Clark Eye Center, becoming its medical director and surgeon. Today, Zeldes Eye Center serves the community, delivering quality eye care. Dr. Zeldes has many years of eye care experience, marked by a commitment to improving your life by improving your eyesight. 2011 – Dr. Stocker, age 93, passes away after practicing medicine more than 60 years. To join the Zeldes Eye Center team, or to find out more about job opportunities, please contact our practice at (248) 737-6955.